This month has been all about training. I’ve got to the end of the summer qualifying period and I think I have the scores for the Para Silver Championship and some team test scores too. Now it’s about fine tuning all the tests and increasing my fitness ready to try to qualify for the Gold Para Championship this winter. 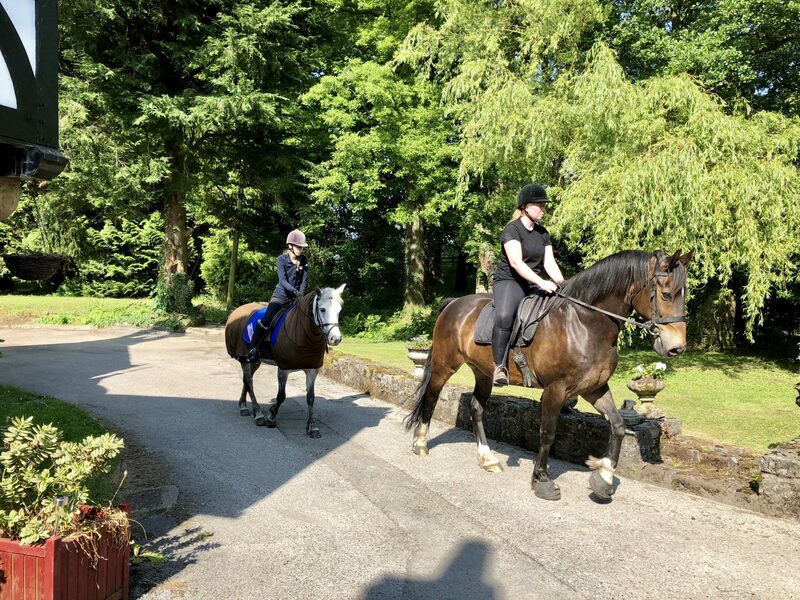 So with that in mind, I have been doing a lot of hacking with friends from the yard but also my friend Nat has been bringing her horse Owl over to hack. It’s given me a chance to use my lovely new saddle-cloth from Horslyx. I’ve been working with my coach Claire on movements in the Individual test, which are the ones used for the Gold Championships in Para and we have also been putting together the floor plan for the freestyle to music now that I have changed grades. My mum had written a rough idea for the floor plan down, with moves in it that I really wanted to include and then Claire looked at it again and fine-tuned it so it fitted the time allowance and also got it to work best for me. I have started back to boxing again, which I love, in order to improve my flexibility and core strength. I train at a boxing gym in Holywell, called Toe 2 Toe, with my boxing coach Matt Inskipp. He has designed his own boxing gym to be accessible for people with disabilities and really has a good understanding of how to help me train to improve my riding. 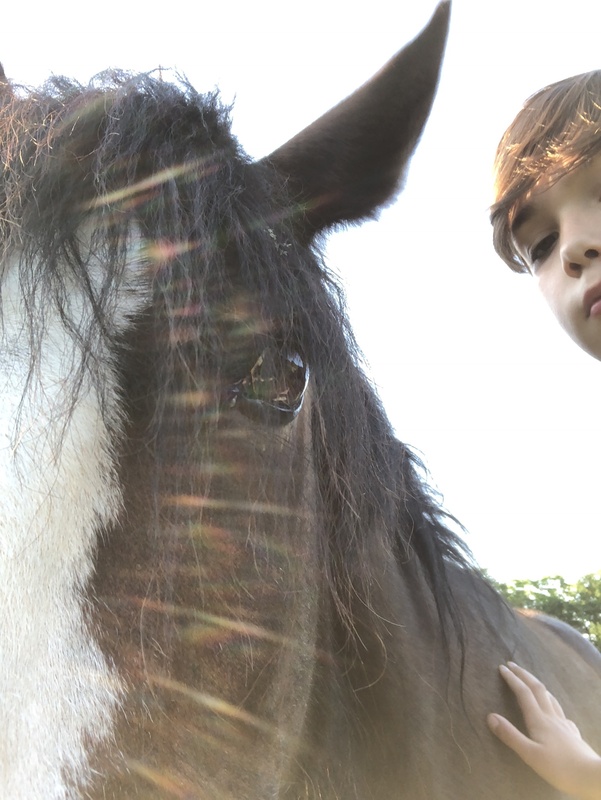 A couple of months ago my 11 year old brother rescued a pony called Netty. She was neglected after the farmer who owned her died. My brother was so upset watching her that he persuaded the family to give her to him. She now lives in the field with Tiger. My brother used one of Tiger’s Mini Mint Horslyx (we didn’t tell Tiger!) to teach Netty how to come when she is called and to have her head collar put on. The Mini Horslyx have been brilliant for helping Netty to realise we aren’t going to do her any harm and calm her down. She was also in very bad condition and was deficient in minerals as well as starved and her Horslyx has helped her to look and feel so much better.